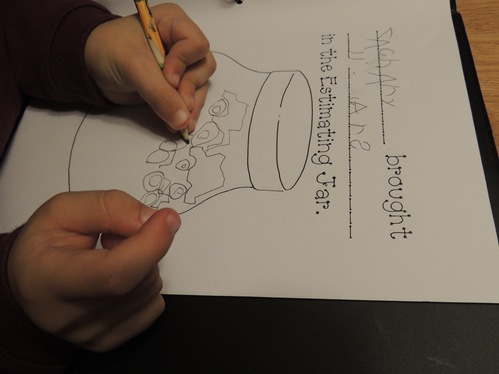 Letter of the Week Preparatory Curriculum Week 7 and Estimation Jar! We are finally back on track with our Letter of the Week Poster. This week’s theme was Stars. Simon really enjoyed using dot markers to decorate the stars, even though the star shape isn’t supposed to get a color until next week’s lesson! His favorite thing remains putting the stickers on the number each week. He did not want to color the letter G – which he insists is actually a letter A. This week’s rhyme is recycled from Week 5 because it fits this week’s theme! Speaking of Hanukkah, tune in tomorrow night for a special Hanukkah school update post! 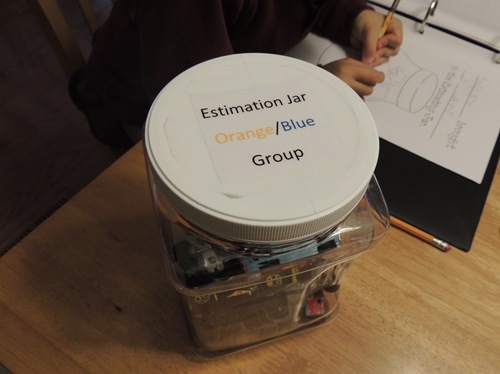 Speaking of school, yesterday Zachary had his turn to bring home the Estimation Jar. 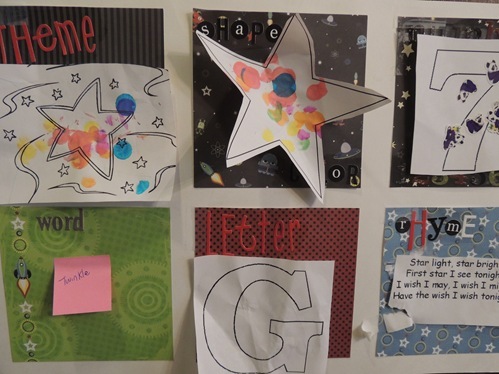 Gabbie did this project in kindergarten too! Zachary chose to put 11 cars in the Estimation Jar. 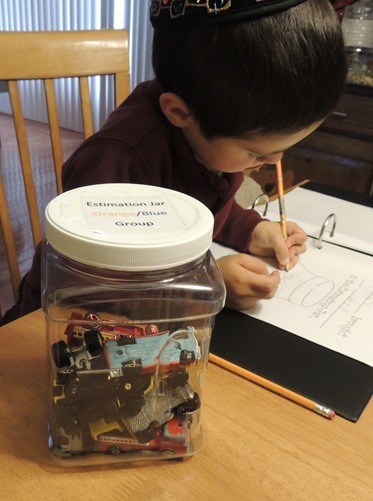 The kids in his class get to guess how many items are in the jar. He was working so hard to draw 11 cars. Simon was bothering him as he worked. For some reason he used the pre-printed lines on the page as part of the letter A’s in his name. His handwriting is actually pretty neat at this point! See you back tomorrow night! 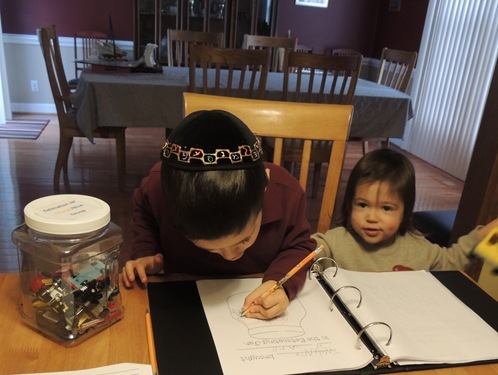 Next Post Hanukkah School Projects and Night #1!